Defense Minister Tea Banh attends an inauguration ceremony at the National Defense University in Phnom Penh last year, in this photograph posted to his Facebook page. In the latest warning of violence and bloodshed from the ruling party, Defense Minister Tea Banh threatened on Sunday to “smash the teeth” of political opponents who demonstrate against the June 4 commune election results. Speaking at the opening of administrative buildings on the outskirts of Siem Reap City, General Banh appeared to invoke opposition protests in the wake of the disputed 2013 national election, vowing never to let similar demonstrations happen again. Gen. Banh took particular issue with protesters’ past calls for Prime Minister Hun Sen to leave office. 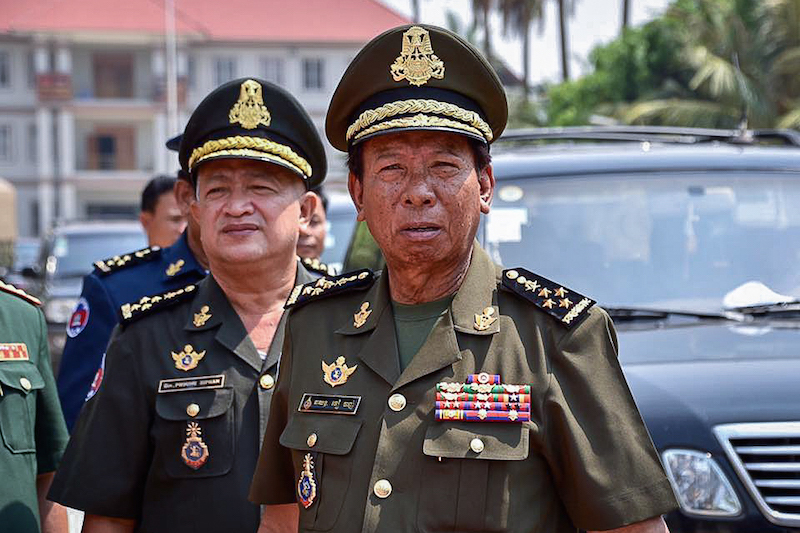 Reached on Tuesday, Gen. Banh reiterated the threat. The 1997 Law on the General Statute of Military Personnel of the Royal Cambodian Armed Forces says the army can help ensure public safety, assist citizens having difficulties or intercede “at the time of catastrophes,” but does not mention involvement in domestic protests. That hasn’t stopped the general from regularly mentioning the protests in the years since, likening such activism to an opposition-led “color revolution” bent on overthrowing the government. 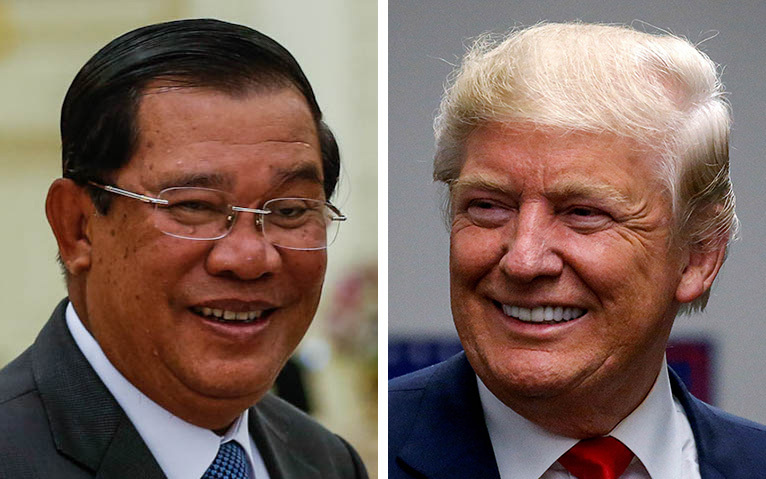 Mr. Hun Sen has also ramped up his customary pre-election rhetoric in recent weeks, saying that electoral defeat for his party would risk plunging the country back into civil war after years of CPP-backed peace. 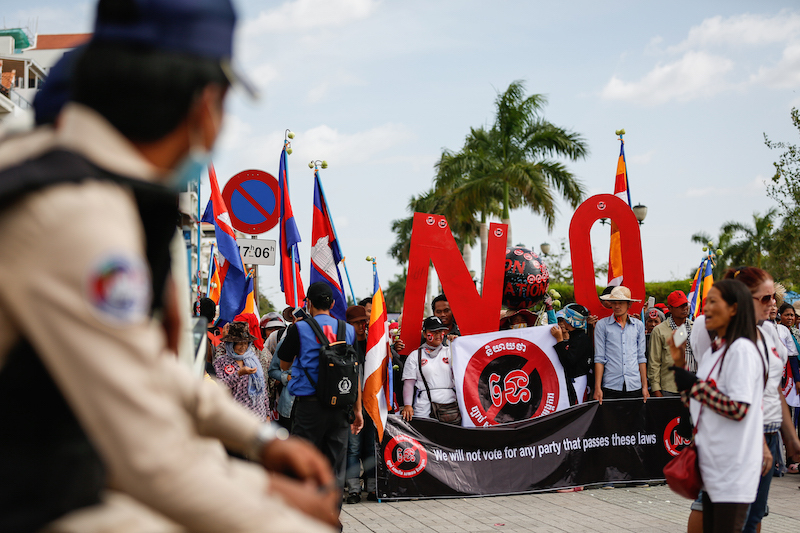 Hang Puthea, spokesman for the National Election Committee, said on Tuesday that the NEC will investigate reports of politicians using threats, intimidation or violence during the two-week campaign period beginning on Saturday, but was powerless to do so before then. “If, during the election campaign, there are threats that make people afraid, the local authorities have to inspect [them] or report to the NEC,” he said. “We want to build a democratic society with no violence,” he said. 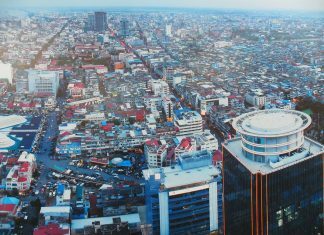 Top CPP officials regularly issue statements about war and discord during election season, which are then disseminated via senior CPP officials who travel from Phnom Penh to party working group meetings in villages. 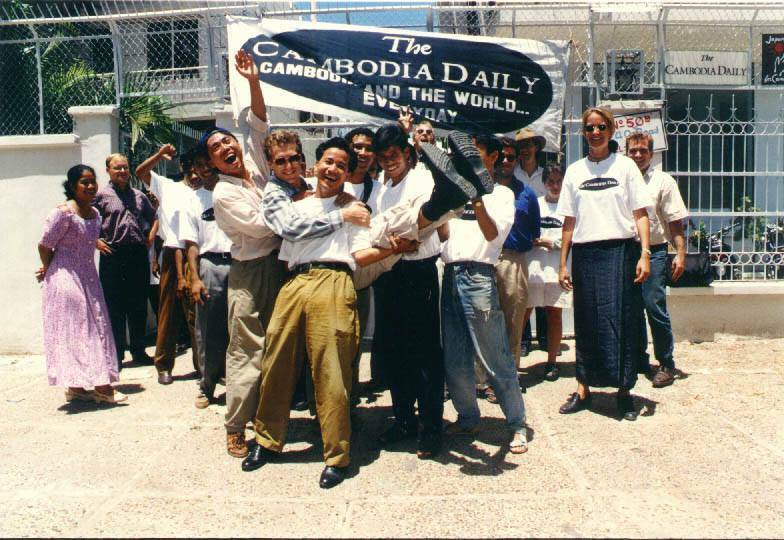 Keo Duong, a lecturer at the Royal University of Phnom Penh specializing in the history of the Khmer Rouge, said that while voters under 40 might not be won over by threats, survivors of the brutal 1970s regime may be receptive to the ruling party’s rhetoric. Carl Thayer, an emeritus professor at the Australian Defense Force Academy in Canberra, said a large deployment of the military—rather than police—at protests was a quick way to convince anyone who remained defiant to CPP warnings. The general’s comments showed that just as in 2013, there is no way the CPP would ever willingly give up power, Mr. Thayer said.